Prosper Reviews - Easy Way to Get a Personal Loan? Prosper Lending, LLC, is a non-bank lender offering personal loans with APRs ranging from 5.99% to 36% and repayment periods from three to five years. Loan amounts range from $2,000 to $35,000. Prosper also allows you to invest in those loans, a feature which makes Prosper what is known as a peer-to-peer lender. This means Prosper gets money from investors and gives it to borrowers. They act as a sort of middleman between the people who have money and the people who need it. According to Crunchbase, Prosper was founded in 2005 by John Witchel and Chris Larsen. The company has orchestrated 11 rounds of funding, gaining more than $350 million from investors. In 2015, Prosper acquired BillGuard and American HealthCare Lending. BillGuard’s financial planning app is now known as Prosper Daily, and is an app offered by Prosper that keeps track of your money and credit scores, and protects you from identity theft. American HealthCare Lending offered financing for patients who needed help paying off medical bills. Prosper now uses the company to help finance borrowers looking for help with medical debt. According to Prosper’s April 2017 SEC prospectus, the company has nearly $1 billion in capital generated from common and preferred stock. So, as you can see, Prosper is a pretty well-established company with lots of money. Of course, all that means nothing if what they offer isn’t a good fit for what you need. In the next few minutes we have together, we’ll walk you through what Prosper provides to borrowers and investors, as well as what their loan process is like. We’ll then do a quick review of the opinions of consumers and a few experts other than HighYa. We wanted to know what it was like to apply for these loans, so we did a practice run with their online application. The first page asked us our zip code, desired loan amount, and purpose. There were 12 different options for purpose, including adoption, medical bills, home improvement and debt consolidation. One of the things that jumps out at us is the nearly four-percent difference between the 3-year interest rate and APR. Think of your interest rate as the market price for one pound of rib eye steak – $20 we’ll say. You’re hungry for rib eye and you go to Prosper restaurant to eat that steak. Prosper’s menu shows the price of a one-pound rib eye as $30. You ask the waiter why the menu price is higher than the market price and he/she tells you Prosper has to add in charges for transporting the steak, cooking the steak and serving the steak. So, while the “interest rate” on your Prosper steak is only $20, the APR is $30. 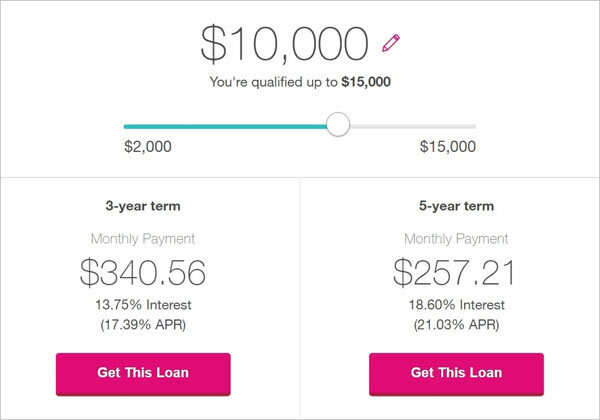 Pro tip: You can choose between a 3-year and 5-year loan. Also, this preliminary check doesn’t affect your credit. 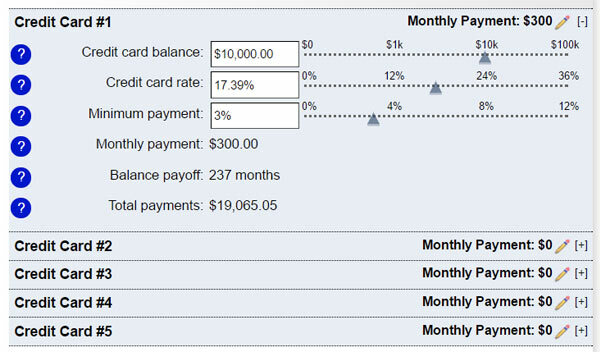 Now, the APR’s are similar to what you’d get with a credit card that has a $10K credit limit, but in this case, your repayment period is limited to 3 or 5 years. All interest is locked in when you sign for the loan. With credit cards, you’re charged a daily interest rate, which can extend your repayment for a very long time. For example, a $10,000 loan with Prosper at 17.39% will be repaid in 3 years at $340 a month. The preliminary application is just that – preliminary. The numbers you see are not final and most likely will change. Why? Because the actual loan application requires a credit check, which will have a pretty significant impact on your rates, loan amounts, and eligibility. Once you fill out a complete application, you’ll have a better idea of what your rates will be and if you qualify for a loan. Keep in mind that you won’t have to pay any up-front fees and that any fees you’re charged will be added to your loan. So, if you need $5,000 to pay a debt, make sure you apply for more than $5,000 to cover your fees, Prosper says. While we know that your credit scores will affect your rates and eligibility, it’s really hard to say by how much. A lot of this depends on the grade Prosper gives you, which we’ll explain in our section about fees. We took a look at Prosper’s most recent “borrower notes” to find out how credit scores affect your rates. Borrower notes are basically a list of people who request loans and the loan amount they’ll probably be approved for. It’s from this information we discovered that Prosper uses your TransUnion FICO scores when they assess your creditworthiness. The borrower-note information is designed for investors (we’ll get to that in a second) who want to bid on various loans. However, in presenting risk levels and projected profits from loans, Prosper gives us an idea of how they adjust rates for borrowers. We’ll be honest with you. This small sample size revealed only one correlation between APR and borrower: credit card balances. Borrowers with higher credit card balances regardless of credit history received higher Prosper scores, but those scores weren’t correlated to higher or lower APRs. Some borrowers with good credit scores got high rates while some with lower scores got lower rates. Our conclusion? Prosper’s APRs seem to be calculated by more factors than credit scores and history. That being said, we do know that Prosper’s site says their average borrower has a FICO score of 710 and earns around $86,000 per year. Pro tip: Prosper says these numbers aren’t set in stone because they don’t include income verification. You’ve probably learned more than you want to know about Prosper’s prospectus, but, for investors, it’s kind of a big deal. The notes represent a chance for investors to profit from Prosper’s loans, so all the details about credit scores, debt and the like are important parts of the decision-making process. The investing process is pretty simple, according to Prosper’s website. You bid at least $25 on various loans, with the option of bidding up to the full amount of the loan. The bidding period can last up to 14 days, Prosper says, and will conclude when bidding reaches the loan’s principle amount, or when the bidding period is over and the principle amount is not reached. Investors have, according to Prosper’s site, invested more than $8.5 billion in Prosper’s loans since 2006. The site also says that 83.5% of investors earned returns more than or equal to what they’d expected. Prosper offers a tool called Quick Invest, which is a tool that lets you make automated bids on loans that meet the requirements you set. The program has limitations, though. Aside from specific requirements for income, you’ll need to live in one of the following states: Alaska, California, Colorado, Connecticut, Delaware, District of Columbia, Florida, Georgia, Hawaii, Idaho, Illinois, Indiana, Louisiana, Maine, Michigan, Minnesota, Mississippi, Missouri, Montana, Nevada, New Hampshire, New York, Oregon, Rhode Island, South Carolina, South Dakota, Utah, Virginia, Washington, Wisconsin, or Wyoming. If you remember back to our discussion about interest rates and APRs, we said the difference between the two is a number of fees you’ll be charged by Prosper. When you’re applying for a Prosper loan, know that your information will be given to individuals who will bid on you, often betting against your reliability and hoping to cash in on your late fees. 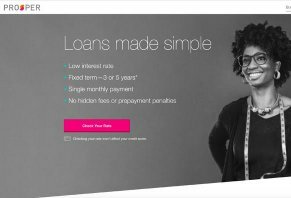 Prosper is a pretty popular lender and, as such, it has a decent amount of reviews from well-respected personal finance sites similar to HighYa. The review goes on to say that the service is good for people with excellent credit scores and who have substantial income. NerdWallet did not offer any negative feedback about Prosper. More than 330 reviewers on Credit Karma gave Prosper, at the time of publishing, an average score of 4.6 stars. More than 90% of those reviews were either four or five star. Of the 10 most recent reviews listed on their site, eight were five stars, one was four stars and one was one star. Many of those 10 reviews praised the ease and simplicity of the funding process. One review noted things will be much easier if you know how to scan and convert documents to PDFs. Like NerdWallet, Investor Junkie gave Prosper 4 out of 5 stars for its investing platform. Reviewer Larry Ludwig said the site’s pros include the Quick Invest option, detailed borrower profiles, and easy bidding. Cons, Ludwig said, were that Prosper’s pool of loans is smaller than that of competing site Lending Club. After doing our research on Prosper’s borrowing and investing functions, we believe that the site offers a relatively decent way for consumers to pay off a debt quickly. If you can afford the monthly payments, then pooling together high-interest credit debt with Prosper means you’ll probably pay off that debt much faster than you would by making minimum payments on your credit card. While Prosper does charge an origination fee that can be as high as 4.95% of your loan balance, you don’t have to pay that out of pocket. It’s rolled into your loan, which, in our opinion, makes life a little easier on the borrower. However, there are things that concern us about Prosper. First, their fine print indicates that your account could be sent to a collections agency if you’re more than 15 days past due. In our opinion, that’s a pretty harsh possibility considering that credit card companies may not send your account to collections until it’s 120 days late. Also, in our brief survey of some of their investment opportunities, we saw a borrower with what’s considered a good score (720-739) who was given a 29.64% interest rate even though they had no delinquencies, a 7% debt-to-income ratio and who was only utilizing 17% of their credit limits. While we believe that Prosper takes other figures into account, a cursory look at the factors we mentioned seem to suggest that you could get a higher rate than you anticipate. On the investing side of things, you’ll be hit with some pretty hefty charges if the accounts in which you’ve invested go to collections. Aside from that, we think Prosper offers a decent chance at returns because, if the numbers they show on their site are correct, their borrowers are high earners with relatively decent credit. Though we haven’t used Prosper’s investment platform, from what we’ve read it’s easy to use and offers great automation tools. If you’re interested in checking out other peer-to-peer lenders before making your final suggestion, read our review of SoFi. Much like Prosper, it’s a site that offers loans funded by investors. Write a Review for Prosper!